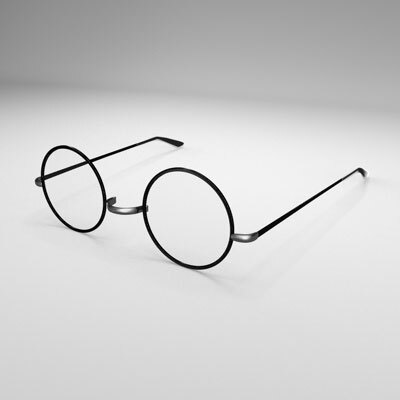 For those needing an introduction to the black, white, and red stages of literary alchemy or a pair of magic spectacles to grasp what Christine Wesley is describing in her exegesis of the Divergent trilogy, there’s the Wikipedia entry, of course, but here is a quick introduction from Deathly Hallows Lectures. 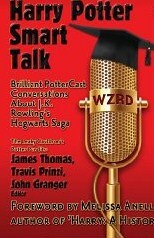 I gave a talk at Biola University’s Torrey Honors College in the fall of 2007 and ran through five keys to unlock the artistry and meaning of the Hogwarts Saga finale, then hot off the press. One of those keys was literary alchemy. Here, after the jump, is an excerpt from the first chapter of Deathly Hallows Lectures that I hope will bring the serious reader of Divergent up to speed on the hermetic tradition Christine Wesley assumes you know. 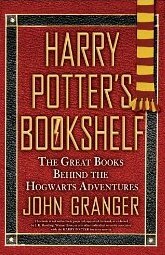 If you want more, please see chapter devoted to this subject in Lectures, Harry Potter’s Bookshelf, and How Harry Cast His Spell. Tonight, as you can see, I am dressed as an alchemist, or, really, like an alchemical novel: the suit is black, the shirt is brilliantly white, and the signature bow tie is red. 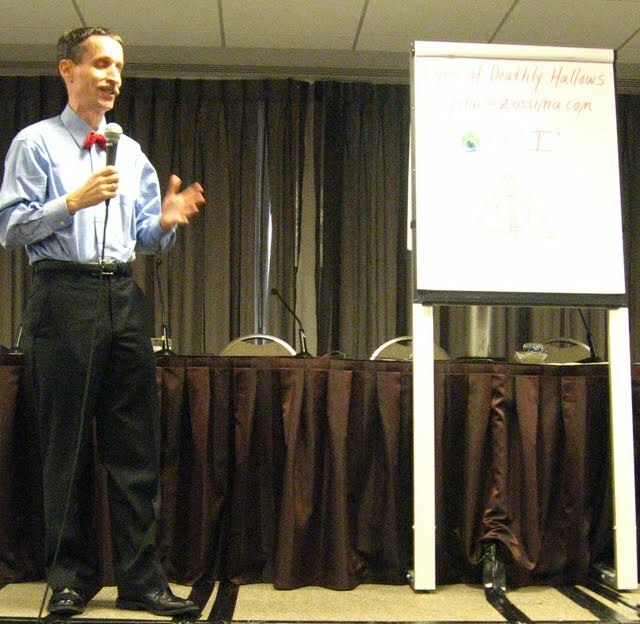 I dressed up this way to illustrate the second key for unlocking Deathly Hallows: literary alchemy. Let’s leave the sartorial illustration, or object lesson, to talk about what alchemy was and what literary alchemy is. When I talk about the colors, though, check out the clothes again as visual reminders – black, then white, then red. To the alchemist that is not the case. His efforts in changing lead to gold are based on the premise that he, as the subject, will go through the same types of changes and purifications as the materials he is working with. In sympathy with these metallurgical transitions and resolutions of contraries, his soul will be purified in correspondence as long as he is working in a prayerful state within the Mysteries (sacraments) of his revealed tradition. 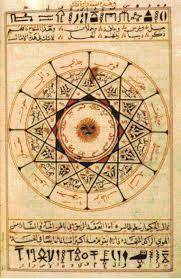 Now, historically there was an Arabic alchemy, a Chinese alchemy, a Kabbalistic, as well as a Christian alchemy; each differs superficially with respect to their spiritual traditions but, in every one, the alchemist was working with a sacred natural science or physics to advance his spiritual purification. This was only possible because he looked at the metal he was working with as something with which he was not “other” but with which he was in relationship. The alchemist and the lead becoming gold are artifex and artifact imitating and accelerating the work of the Creator creating a bridge so that, as lead changes to gold or material perfection, the alchemist’s soul in sympathy goes through similar transformations and purifications. The great dramatists of that period realized, “if what we’re doing is alchemical, why don’t we use alchemical imagery and language, too?” And, voila, literary alchemy was born. This stream of English literature, in which narrator or characters and the reader or audience pass, in correspondence, through the stages of the alchemical work, runs through the next five centuries of poetry, stage work, stories, and novels. You may not have recognized it, but it’s a big part of things you have read or viewed. Shakespeare’s Romeo and Juliet, for instance. This play you’ve all read and probably seen on stage or screen has a black and a white and a red stage that ends in gold. You remember Romeo’s melancholic beginnings, and the strife and division in the streets of Verona. The white stage begins when the young lovers meet. The division between Capulet and Montague is joined when this couple is bound by the sacrament of marriage. The story is essentially over when they’re married in the church service and the marriage is consummated. But the accomplishments of the white stage that are hidden have to be revealed on a larger stage in the crucible of the red stage. Through the deaths of Romeo and Juliet in the Capulet tomb, greater life comes to Verona. Juliet’s parents and Romeo’s father promise to erect golden statues of the star-crossed lovers and the city is at peace at last. Dickens does much the same thing in Tale of Two Cities. As you probably remember, Tale is divided into three books. The first is about the recovery of a man “buried alive” in the Bastille and about the darkness in both England and France. The second is about the doppelganger of Darney and Carton and how each loves Lucie Manette, who is almost always in white. And the third book is the crucible of Revolutionary Paris with Carton’s simultaneously spectacular and sublime sacrifice to save the wedded Charles and Lucie. Shakespeare, the Metaphysical Poets, Blake, Dickens, Yeats, Eliot, even C. S. Lewis after Charles Williams – a large part of their magical artistry and transforming imagery is alchemical. Ms. Rowling is a Shakespeare lover, a fan of Dickens, and a Lewis admirer; we shouldn’t be too surprised, then, to find that she swims in the same stream of English literature as her favorites do. Harry Potter is an alchemical drama, pure and simple. We first see that the books are largely about the resolution of contraries, especially the battle between the hot and dry Gryffindors up in their tower and the cold and moist Slytherins in the dungeons beneath the lake. Harry’s adventures are about his transcending this polarity, marrying the contraries, which purification happens in, you guessed it, a black and a white and a red stage. Every book and the series as a whole come with a complete set. In the individual books, the black stage, or nigredo, is almost always launched on Privet Drive, where Harry is treated horribly and, at least in Philosopher’s Stone, lives in a cupboard under the stairs. The work of breaking Harry down continues each year when he gets to Hogwarts and Severus Snape takes over, a black figure if there ever was one. But Hogwarts is the home of Albus Dumbledore, whose first name means “white,” and Hogwarts, the “white house” if you will, is where Harry is purified of the failing identified at the Dursleys as he and the Quarreling Couple solve that year’s mystery. The understanding he gains through these trials is revealed in the book’s crisis, the confrontation with the bad guys, in which he always dies a figurative death and is reborn. From Privet Drive to his chat with Dumbledore at book’s end, Harry is always purified and transformed. The clearest illustration of this is in Prisoner of Azkaban. At the start, this is one angry teenage boy. He blows Aunt Marge up, quite literally, because she has a little too much to drink and, in a flood of Thatcherisms (Aunt Marge and her bulldogs being Margaret Thatcher and the Conservatives after all), says unkind things about Harry’s parents. At the end of same book he is so much changed that he throws himself in front of Pettigrew, the man who actually betrayed his parents and was almost solely responsible for their deaths, because he felt his father wouldn’t want his best friends to kill Peter Pettigrew. James Dean to sacrificial savior is a lead-to-gold transformation, right? The series taken altogether has a black, white and red stage, too: Order of the Phoenix is the series “black book,” Half-Blood Prince is the White, and Deathly Hallows is the rubedo or Red stage. Let’s review them quickly. The nigredo is the stage in which the subject is broken down, stripped of all but the essential qualities for purification in the albedo or white work. Order of the Phoenix, darkest and most disturbing of all the Harry Potter novels, is this stage in the series; Ms. Rowling cues us to this not only in the plot points, all of which are about Harry’s loss of his identity, but in the “black”-ness of the book. No small part of it takes place in the House of Black and it ends, of course, with the death of Sirius Black. More important, though, is that Phoenix details Harry’s near complete dissolution. Every idea he has of himself is taken from him. Dolores Umbridge teaches him that Hogwarts can be hell. He learns his father was a jerk. No Quidditch! Ron and Hermione outrank him on the Hogwarts totem pole. The entire “girl thing” eludes him except for agonizing confusion and heartbreak. Everything, in brief, is a nightmare for him in his fifth year. His self-understanding and identity are shattered – except, at the very end, after Sirius’ death and with it any hope of a family life with his godfather, Harry learns about the Prophecy. That understanding replaces everything else. And that’s the end of the black work. 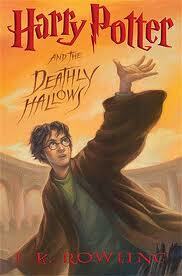 Deathly Hallows, you probably guessed, being last, is the ‘Red book,’ the rubedo. If you’ve read the alchemy chapters in Unlocking Harry Potter, you know what has to happen in the rubedo. Just like Romeo and Juliet and Tale of Two Cities, a wedding has to be revealed, contraries have to be resolved, and a death to self must lead to greater life. We should expect to see a philosopher’s stone and a philosophical orphan, as well. The rubedo of Deathly Hallows is the crisis of the whole series we waited two years to read – and it is everything alchemical we could have hoped for. We start off with Bill and Fleur’s alchemical wedding, in which France and England are married in the sitzkrieg before the shooting war with Voldemort’s Nazis begins. The first eight chapters of Deathly Hallows are lead up to this union of opposites, of choler and phlegm. As you’d expect, the wedding itself is a meeting of contraries, of solar and lunar. That’s why, in addition to the Gallic/Briton jokes, we have the lunar Lovegoods show up in sunlight-bright yellow. Luna, the moon in solar outfit, explains that it’s good luck to wear gold at a wedding. This isn’t just loony Luna; everything at the wedding is golden: the floor, the poles, the band jackets, the bridesmaids’ dresses, even Tonks’ hair! We have a long way to go, though, before the conjunction of the Slytherin and Gryffindor opposites. The wedding breaks up with the arrival of Kingsley’s lynx Patronus with the message that Rufus Scrmgeor is dead and the Death Eater blitzkrieg has begun. With wedding and the death of the first character whose name means ‘red,’ the real action of Deathly Hallows’ alchemical work begins. The rest of the book is best understood as black, white, and red stages. For those of you taking notes (who let them in here? ), the nigredo stretches painfully from Ch. 9, “Place to Hide,” to Ch. 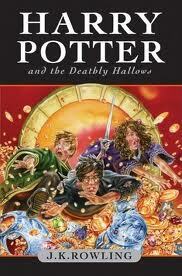 18, “The Life and Lies of Albus Dumbledore.” Harry’s purification and illumination begin in Ch. 19, “The Silver Doe,” and end with the trio’s return to Hogsmead in Ch. 28, “The Missing Mirror.” The crisis of the book and the series, of course, is in Harry’s return to Hogwarts, destruction of the remaining Horcruxes, and victory over Lord Voldemort, as told in the last eight chapters of Deathly Hallows. The ten nigredo chapters are as dark and gothic as any reader could want. We get a trip to the House of Black, we visit the Orwellian “Magic is Might” black statue in the new Ministry (accessible only by flush toilet . . .), and we go camping, where, for some reason, it’s always night, or overcast, or the three friends can’t get along. Ron finally just up and leaves. Can you say “dissolution”? Ask anyone what the longest part of Deathly Hallows is. The answer is always “the camping trip.” It is nine chapters (that’s 14 through 21) but only three are agony, the three after Ron departs. These Christmas chapters about Harry’s holiday trip with Hermione to Godric’s Hollow are the climax of the nigredo and end with Harry’s crisis of faith. We left Harry at the end of Prince proclaiming that he was “a Dumbledore man.” In Hallows, he reads one article by Rita Skeeter and his faith is shaken. He talks to Aunt Muriel and Dogbreath at the wedding, his faith takes another blow, and now he is struggling to believe. At the end of the nigredo, when Harry reads The Life and Lies of Albus Dumbledore, he denies Dumbledore, denies that he loves Albus, denies that Dumbledore loved him, etc. Harry’s holly and phoenix wand has been broken in battle with Nagini and he is left with a broken wand, a broken piece of mirror , and shattered faith. He keeps these fragments, though, in a bag around his neck, close to his heart. He denies Dumbledore, denies his mission, and, in something like despair, he keeps these remnants or relics of the person he once was close to his heart. And just when I almost closed the book, feeling a little despair myself just before dawn, the nigredo ends with the brilliance reflecting off the Silver Doe in the snow-covered Forest of Dean. This chapter, a meeting of Christian, alchemical and Arthurian images in one spot, is probably the height of Ms. Rowling’s achievement as a writer. A detailed look at the alchemy of Deathly Hallows is a talk longer than this one [see Ch. 2] and most of it is in the white stage: Ron the Baptist saving Harry, Ron’s exorcism in destroying the Horcrux, Harry’s death to self and discovery of remorse, repentance, faith, and love in Dobby’s grave, and the pale dragon in Gringott’s are all images of purification, with water on hand or nearby. The white stone on the red earth of Dobby’s grave and the “milkily” pink eyes are chromatic signs of the story’s movement from white to red. The rubedo of Deathly Hallows begins, I think, when Harry refuses to listen to Aberforth’s complaints and criticism of his brother Albus. When Harry shows his faith and his choice to believe, Neville appears to take him into the castle and the battle for Hogwarts begins. You could say the red stage really begins when Rubeus, the half-giant whose name means “red,” flies through the window of Hogwarts Castle. In this battle, which includes Harry’s sacrifice in the Forbidden Forest and his ultimate victory over Voldemort, the contraries are resolved and all the Houses sit down at one table. The battle also causes the creation of the “philosophical orphan” when Nymphadora and Remus Lupin are killed. And we get a Philosopher’s Stone, too; Hermione and Ron’s daughter, we learn in the epilogue, is named ‘Rose,’ which is another name for the Stone. The turning-into-its-opposite transformation in the last novel of the series shows how the world has been changed by Harry’s internal victory and destruction of the scar-Horcrux. Lord Voldemort tortures and murders the Hogwarts Muggle Studies Teacher in the first chapter of the book. Her name is Charity Burbage and her corpse is dinner for Nagini. Charity or Love is destroyed by Death. Via Harry’s death to self in the white stage’s Dobby burial, revealed in his willing self-sacrifice before Voldemort, death’s power is broken. Lily and Harry’s sacrificial and selfless love sustains life and has its victory over death. What has made Harry the better man was becoming the Gryffindor/Slytherin union himself; again, call him ‘Albus Severus Potter,’ as Harry and Ginevra name their younger son. He becomes the conjunction of contraries, we learned in the first key, by acquiring the seemingly contradictory views of both Albus Dumbledore, champion Gryffindor, and Severus Snape, Slytherin House Master and icon by the end of Deathly Hallows. When he fights Lord Voldemort in the Great Hall, Harry has achieved an understanding and perspective that is essentially all-knowing. Voldemort, in contrast, has the limited ego view that we had at the end of every previous book (because that was all the perspective Harry’s house-elf with magical minicam gave us!). Remember, to a classicist and postmodern like Rowling, “knowing” is in large part a measure of “being.” In becoming relatively ‘omniscient’ as Albus Severus Potter, Sr., Harry, the Hogwarts Hermaphrodite and de facto Philosopher’s Stone, is “love on legs” and, as such, virtually omnipotent. Voldemort didn’t stand a chance. 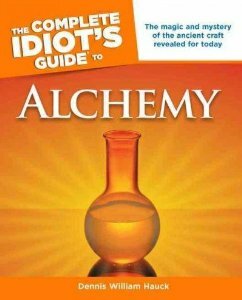 [i] The reader is urged to read Titus Burckhardt’s Alchemy (Penguin, 1971) or Mirror of the Intellect (Quinta Essentia, 1987) for a traditional understanding of alchemy rather than a strictly historical treatment or psychological pastiche. 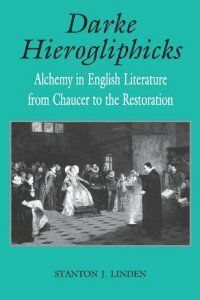 [ii] For alchemy in Shakespeare and other authors, see Martin Lings’ Secret of Shakespeare (Inner Traditions, 1984) and Stanton Linden’s Darke Hierogliphicks: Alchemy in English Literature (University Press of Kentucky, 1996). My favorite topic, John. I love revisiting the moments when my own heart burst wide open in response to Harry’s ordeal. His ‘grave decision’ is one of those passages I return to often. His lowest moment to me is when he is standing over his parents grave and wishing he was under the snow sleeping beside them. He seemed to lose heart and then the loss of his wand seemed a loss of all will. Total dissolution. I love the imagery of the broken things he kept close to his heart including a photo and mother’s letter. It’s good to remember that Hagrid gave him that pouch. Hagrid is half human and his other half always connected him more to the natural world. He is a character less directed by reason than instinct, less prone to despair perhaps. I always felt that Hagrid provided Harry with his most profound experiences, the ones that were lessons not taught in a classroom and were internalized at a deeper level. The gift of the bag allowed Harry to make sacred those things he had lost and an opportunity to mend. I thought the dawn sky at Shell cottage heralded in the Rubedo as he beheld his clean hands. Such beautiful writing. It occurs to me that Rowling has become something of a literary alchemist in that her stories have that effect on her readers. As we read her stories, we undergo the 3 stages and end up better for the experience. Her famously-oft-quoted comment for the Harvard address about us imagining a new world or “better” seems to indicate that she wants us to be transformed for having read her works. Okay, I am curious whether there is, in symbolic alchemy, anything relating to the true Philosophers Stone being a stone heart? Sort of following theories in such things as Shelley’s poem Alastor, and also a few aspects of the Harry Potter books, where the ones who truly love are the ones who usually die rather quickly, whereas people who don’t care seem to live on. It would also fit in to Dumbledore’s cautions against alchemy later in his life. Any thoughts?